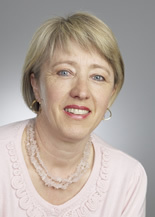 Dr. Solina Richter joined the University of Alberta, Faculty of Nursing in 2003, following extensive community health experience in South Africa. She is also a trained midwife and has managed a private clinic in South Africa focusing on perinatal educational and postnatal care. Dr. Richter's research program focuses on the social determinants of health, and more specifically research on homelessness to inform public policies and frontline practices that protect and promote health of the low socioeconomic and homeless populations. A further focus of her research is on building capacity for partnerships and collaboration to address global health related to issues affecting vulnerable populations. Richter believes that global collaboration has always been a fundamental part of scholarly development; globalization is accelerating the scope, rate and importance of international research. She highlights that global collaboration is a prerequisite to bring different perspectives to dialogue on key national and global issues; it facilitates our contribution to the global collection of knowledge and expertise on the management of the social determinants of health. It is essential that researchers combine resources and expertise on an international scale to adequately address complex and interconnected global issues.